How to Create a Blog Page in WordPress – Blogs play a very important role in the digital world. What most of the videos and other things cannot deliver, blogs can. It allows people to have a better understanding of a particular topic. 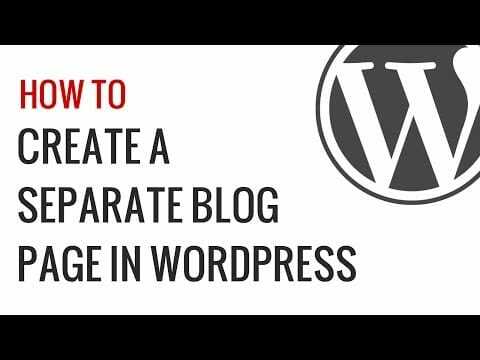 WordPress allows you to create a separate blog page in it and if you are not aware of it. So, here we will discuss on how to create a blog page in WordPress. Now there would be hardly anyone who is not aware of the importance of blogging in the internet-oriented world. Every other person, business owner, websites are switching to blogging because of the obvious reasons. You can create your own blog page in WordPress very easily by just following the right steps. In case you are wondering about why do you need a blog page in the WordPress then we are here for you. A separate blog page is a necessity because blogging has so many numerous benefits. If you are not aware of the benefits it provides then below mentioned are some of the benefits it has to offer. Blogging can help you drive you immense traffic towards your website. Also, when you will get a huge amount of traffic there would be more chances of it converting into leads. Blogging helps in establishing the authority. This also helps in driving the long-term results. People feel more connected to you. This can be used as a wonderful tool of communication to your audience or more specifically target audience. Blogging can also increase your SEO and SERP. It helps in developing the customer relationships. Creating a blog post in WordPress is extremely easy. If you are finding any kind of difficulty in creating a blog page in WordPress then go through the below-mentioned steps that will make it easy for you. Creating a blog page will be super easy if you follow the steps correctly. WordPress comes with a default setting of creating a separate blog page. 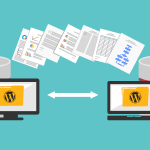 For this, you need to create two new WordPress pages. One will be your custom home page. To do this you need to follow the below-mentioned steps. Go to pages and add a new page in it. On the right-hand side, you will see an option to choose the template. After choosing the template, the next thing you have to do is to click on screen options at the top right corner of the screen and check the discussion box. This will display discussion meta box below the post edit area. Uncheck both of the comments and trackbacks to disable discussion on the home page. Next, you need to do is to create another page for the blog post. You can choose various templates according to the website structure. If there is no template available in your theme then you can easily choose the default. Do not forget to disable the comments on this page as well. After you are done with creating the pages go to the reading settings and choose the settings for pages where they need to be placed. Once you have completed all the settings next thing you will have to do is to review your page again by saving the settings you have made in the WordPress. If you want to add the blog page in the navigation menu then you can do that by going to settings and appearance then menus and then finally adding the blog page to the menu. A blog post has become now an integral part of the internet. 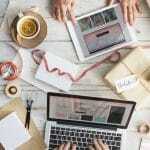 Blogging helps in communicating to your audience on a whole different level. WordPress is an amazing platform for the blogging purpose. 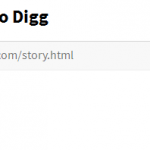 Also, it has inbuilt features of creating a blog post in it. 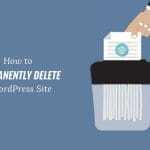 Therefore, you can follow these steps to successfully create a separate blog post in WordPress.